Hypothyroidism is an underactive thyroid gland. Hypothyroidism means that the thyroid gland can’t make enough thyroid hormone to keep the body running normally. People are hypothyroid if they have too little thyroid hormone in the blood. Common causes are autoimmune disease, such as Hashimoto’s thyroiditis, surgical removal of the thyroid, and radiation treatment. When thyroid hormone levels are too low, the body’s cells can’t get enough thyroid hormone and the body’s processes start slowing down. As the body slows, you may notice that you feel colder, you tire more easily, your skin is getting drier, you’re becoming forgetful and depressed, and you’ve started getting constipated. Because the symptoms are so variable and nonspecific, the only way to know for sure whether you have hypothyroidism is with a simple blood test for TSH. Tell your family members. Because thyroid disease runs in families, you should explain your hypothyroidism to your relatives and encourage them to get periodic TSH tests. Tell your other doctors and your pharmacist about your hypothyroidism and the drug and dose with which it is being treated. If you start seeing a new doctor, tell the doctor that you have hypothyroidism and you need your TSH tested every year. If you are seeing an endocrinologist, ask that copies of your reports be sent to your primary care doctor. WHAT CAN YOU EXPECT OVER THE LONG TERM? There is no cure for hypothyroidism, and most patients have it for life. There are exceptions: many patients with viral thyroiditis have their thyroid function return to normal, as do some patients with thyroiditis after pregnancy. Hypothyroidism may become more or less severe, and your dose of thyroxine may need to change over time. You have to make a lifetime commitment to treatment. But if you take your pills every day and work with your doctor to get and keep your thyroxine dose right, you should be able to keep your hypothyroidism well controlled throughout your life. Your symptoms should disappear and the serious effects of low thyroid hormone should improve. If you keep your hypothyroidism well-controlled, it will not shorten your life span. There can be many reasons why the cells in the thyroid gland can’t make enough thyroid hormone. Here are the major causes, from the most to the least common. Autoimmune disease. In some people’s bodies, the immune system that protects the body from invading infections can mistake thyroid gland cells and their enzymes for invaders and can attack them. Then there aren’t enough thyroid cells and enzymes left to make enough thyroid hormone. This is more common in women than men. Autoimmune thyroiditis can begin suddenly or it can develop slowly over years. 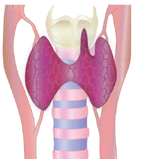 The most common forms are Hashimoto’s thyroiditis and atrophic thyroiditis. Surgical removal of part or all of the thyroid gland. Some people with thyroid nodules, thyroid cancer, or Graves’ disease need to have part or all of their thyroid removed. If the whole thyroid is removed, people will definitely become hypothyroid. If part of the gland is left, it may be able to make enough thyroid hormone to keep blood levels normal. Radiation treatment. Some people with Graves’ disease, nodular goiter, or thyroid cancer are treated with radioactive iodine (I-131) for the purpose of destroying their thyroid gland. Patients with Hodgkin’s disease, lymphoma, or cancers of the head or neck are treated with radiation. All these patients can lose part or all of their thyroid function. Congenital hypothyroidism (hypothyroidism that a baby is born with). A few babies are born without a thyroid or with only a partly formed one. A few have part or all of their thyroid in the wrong place (ectopic thyroid). In some babies, the thyroid cells or their enzymes don’t work right. Thyroiditis. Thyroiditis is an inflammation of the thyroid gland, usually caused by an autoimmune attack or by a viral infection. Thyroiditis can make the thyroid dump its whole supply of stored thyroid hormone into the blood at once, causing brief hyperthyroidism (too much thyroid activity); then the thyroid becomes underactive. Medicines. Medicines such as amiodarone, lithium, interferon alpha, and interleukin-2 can prevent the thyroid gland from being able to make hormone normally. These drugs are most likely to trigger hypothyroidism in patients who have a genetic tendency to autoimmune thyroid disease. Too much or too little iodine.The thyroid gland must have iodine to make thyroid hormone. Iodine comes into the body in food and travels through the blood to the thyroid. Keeping thyroid hormone production in balance requires the right amount of iodine. Taking in too much iodine can cause or worsen hypothyroidism. Damage to the pituitary gland.The pituitary, the “master gland,” tells the thyroid how much hormone to make. When the pituitary is damaged by a tumor, radiation, or surgery, it may no longer be able to give the thyroid instructions, and the thyroid may stop making enough hormone. Rare disorders that infiltrate the thyroid. In a few people, diseases deposit abnormal substances in the thyroid and impair its ability to function. For example, amyloidosis can deposit amyloid protein, sarcoidosis can deposit granulomas, and hemochromatosis can deposit iron. Symptoms. Hypothyroidism doesn’t have any characteristic symptoms. There are no symptoms that people with hypothyroidism always have and many symptoms of hypothyroidism can occur in people with other diseases. One way to help figure out whether your symptoms are due to hypothyroidism is to think about whether you’ve always had the symptom (hypothyroidism is less likely) or whether the symptom is a change from the way you used to feel (hypothyroidism is more likely). 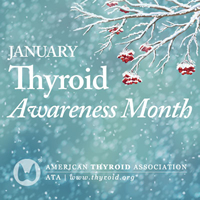 whether any of your family members have thyroid disease.. Physical exam. The doctor will check your thyroid gland and look for changes such as dry skin, swelling, slower reflexes, and a slower heart rate. Blood tests. There are two blood tests that are used in the diagnosis of hypothyroidism. TSH (thyroid-stimulating hormone) test. This is the most important and sensitive test for hypothyroidism. It measures how much of the thyroid hormone thyroxine (T4) the thyroid gland is being asked to make. An abnormally high TSH means hypothyroidism: the thyroid gland is being asked to make more T4 because there isn’t enough T4 in the blood. T4 tests. Most of the T4 in the blood is attached to a protein called thyroxine-binding globulin. The “bound” T4 can’t get into body cells. Only about 1%–2% of T4 in the blood is unattached (“free”) and can get into cells. The free T4 and the free T4 index are both simple blood tests that measure how much unattached T4 is in the blood and available to get into cells. Hypothyroidism can’t be cured. But in almost every patient, hypothyroidism can be completely controlled. It is treated by replacing the amount of hormone that your own thyroid can no longer make, to bring your T4 and TSH levels back to normal levels. So even if your thyroid gland can’t work right, T4 replacement can restore your body’s thyroid hormone levels and your body’s function. Synthetic thyroxine pills contain hormone exactly like the T4 that the thyroid gland itself makes. All hypothyroid patients except those with severe myxedema (life-threatening hypothyroidism) can be treated as outpatients, not having to be admitted to the hospital. For the few patients who do not feel completely normal taking a synthetic preparation of T4 alone, the addition of T3 (Cytomel®) may be of benefit. The only dangers of thyroxine are caused by taking too little or too much. If you take too little, your hypothyroidism will continue. If you take too much, you’ll develop the symptoms of hyperthyroidism—an overactive thyroid gland. The most common symptoms of too much thyroid hormone are fatigue but inability to sleep, greater appetite, nervousness, shakiness, feeling hot when other people are cold, and trouble exercising because of weak muscles, shortness of breath , and a racing, skipping heart. 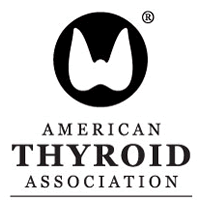 Patients who have hyperthyroid symptoms at any time during thyroxine replacement therapy should have their TSH tested. If it is low, indicating too much thyroid hormone, their dose needs to be lowered. You’ll need to have your TSH checked 6 to 10 weeks after a thyroxine dose change. You may need tests more often if you’re pregnant or you’re taking a medicine that interferes with your body’s ability to use thyroxine. 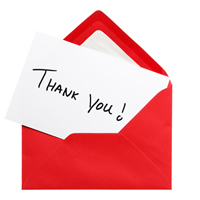 The goal of treatment is to get and keep your TSH in the normal range. Babies with hypothyroidism must get all their daily treatments and have their TSH levels checked as they grow, to prevent mental retardation and stunted growth. Once you’ve settled into a thyroxine dose, you can return for TSH tests about once a year. You start or stop taking certain medicines to control seizures such as phenytoin or tegretol, as such medicines increase the rate at which thyroxine is metabolized in your body, and your dose of thyroxine may need to be adjusted.